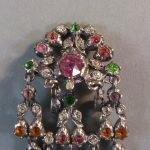 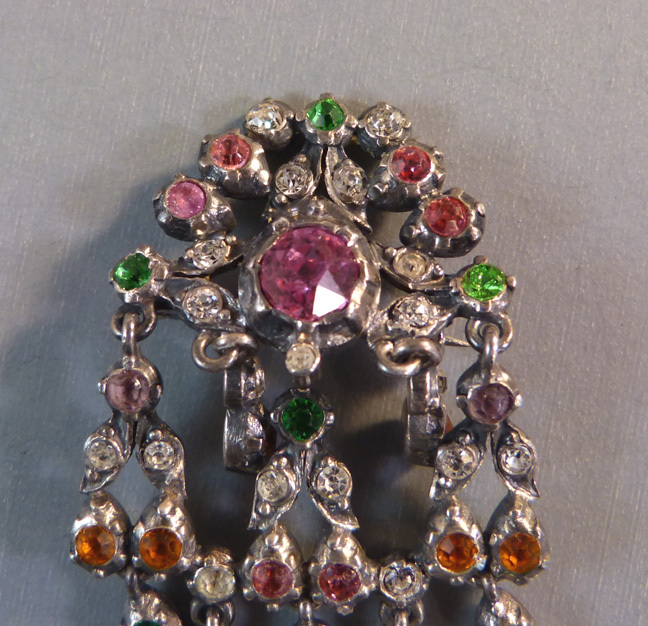 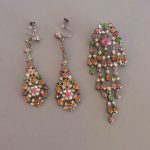 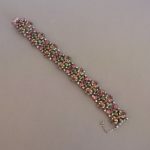 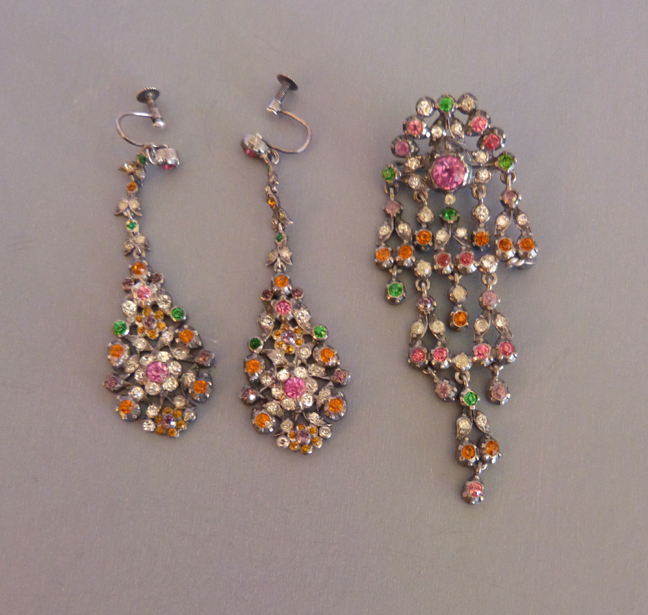 COLORFUL paste parure with pink, purple, green, clear and topaz colored pastes set in fold-over settings in silver metal. 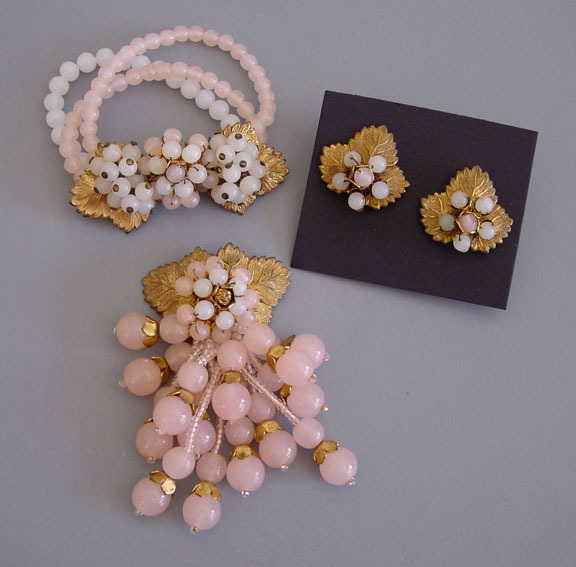 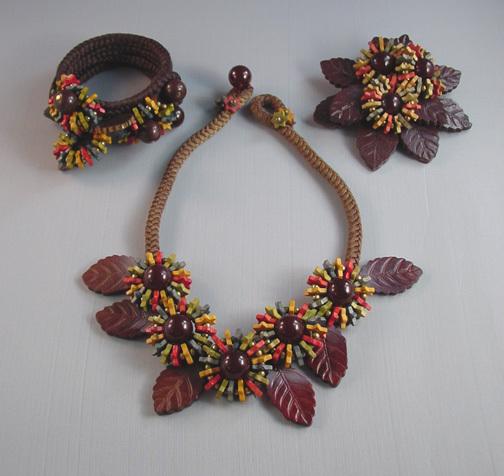 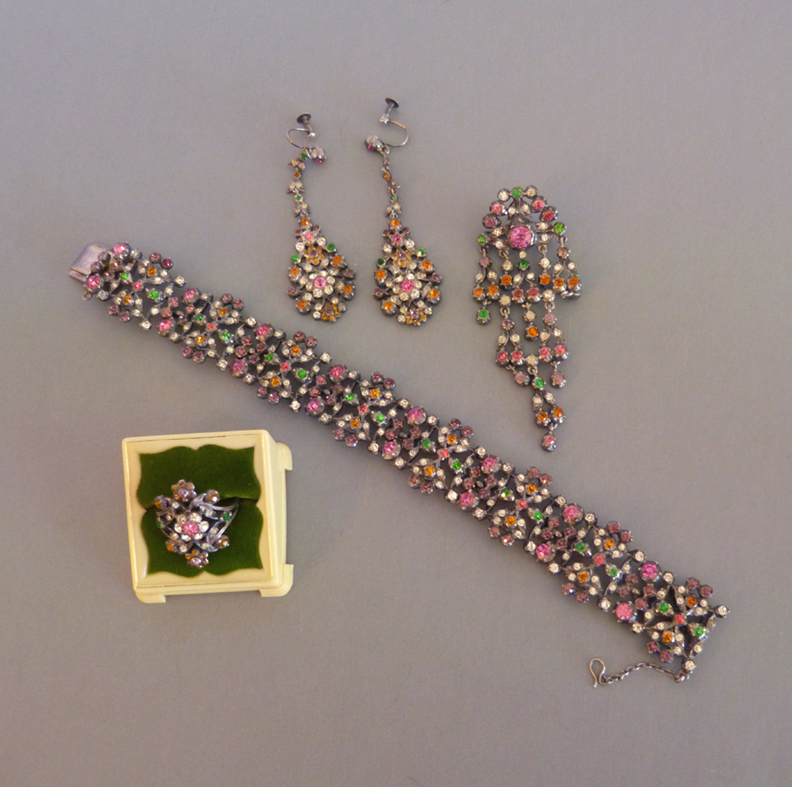 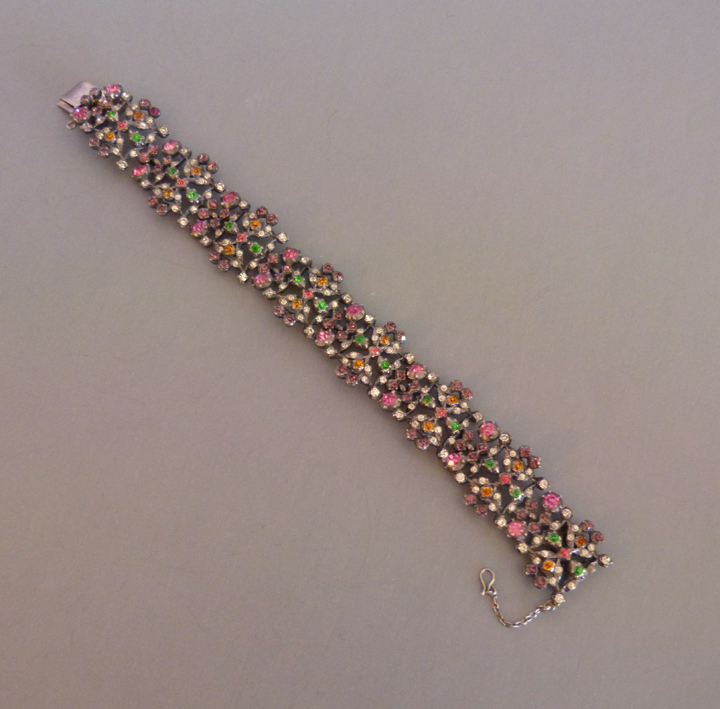 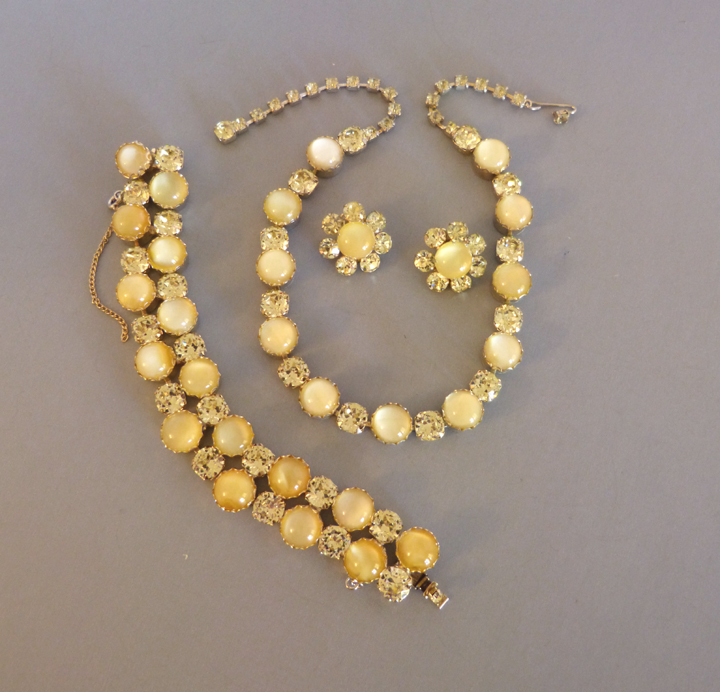 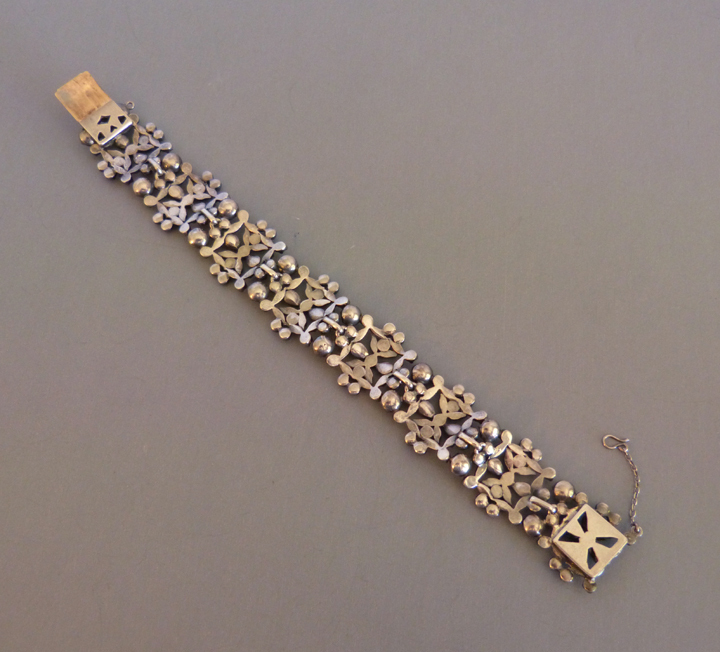 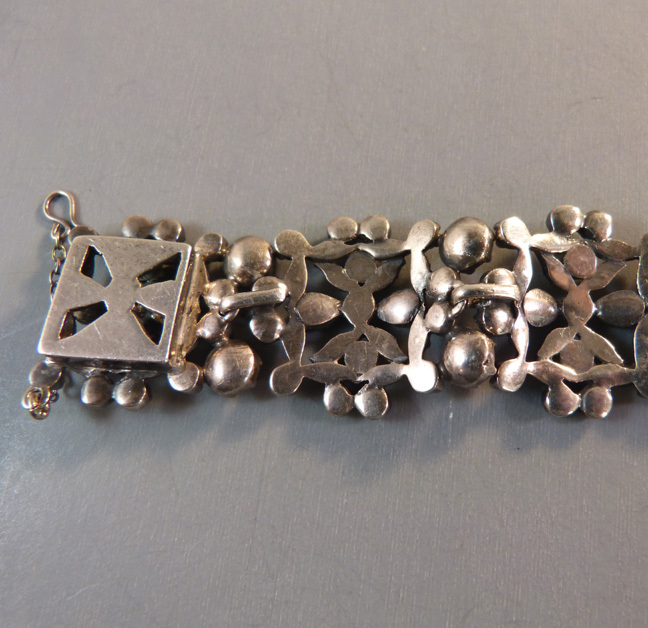 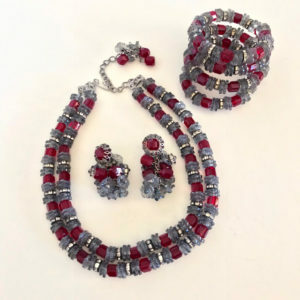 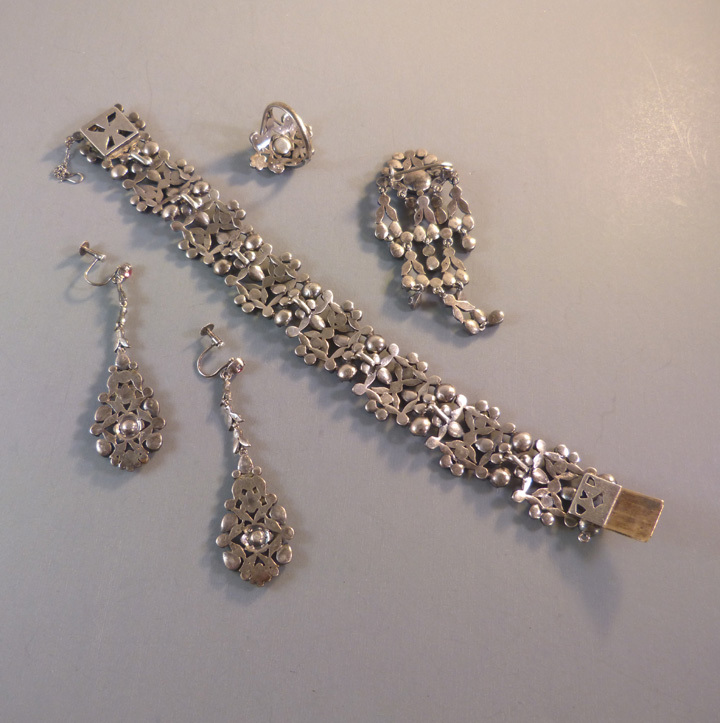 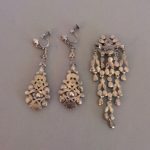 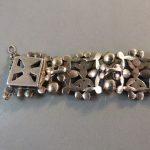 The bracelet has a safety chain and it is 7-3/4" by 7/8"; the 4-piece articulated brooch is 3" by 1-1/4" and has dangling sets on each level; the earrings are screw-back earrings are jointed in 2 places for lovely movement and they are 2-1/2" long and 7/8" wide; and the ring is a size and is 1" by 3/4" across the face. 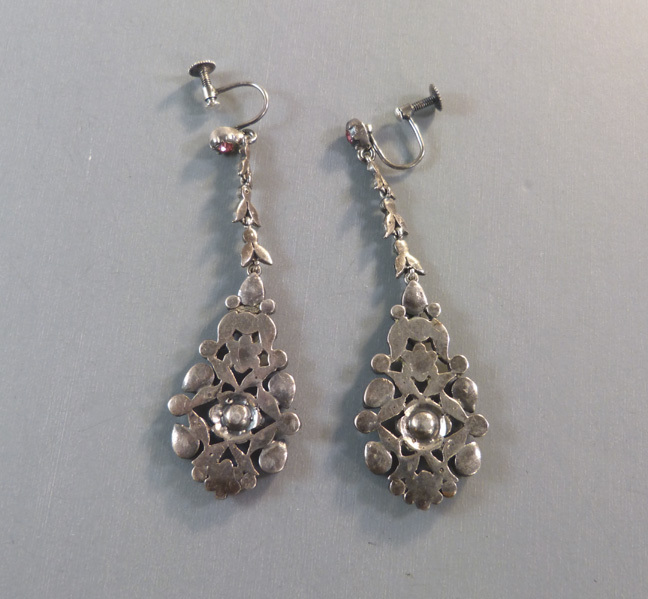 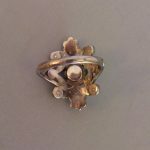 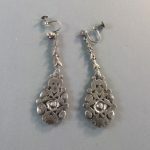 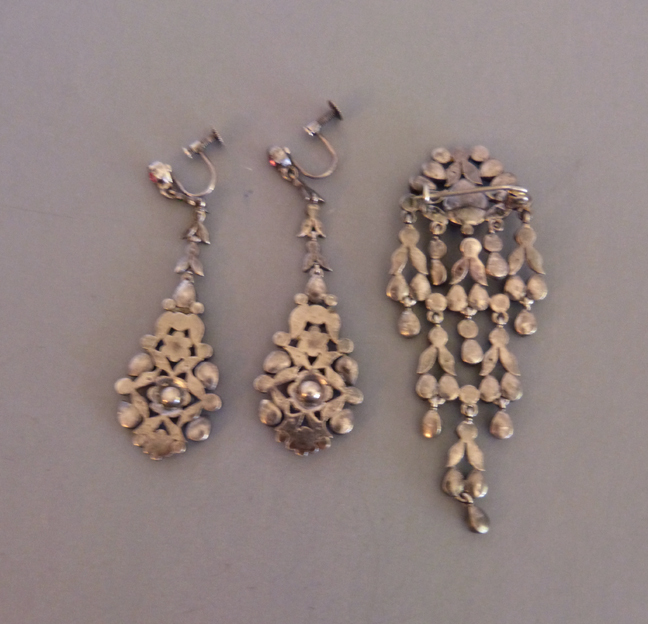 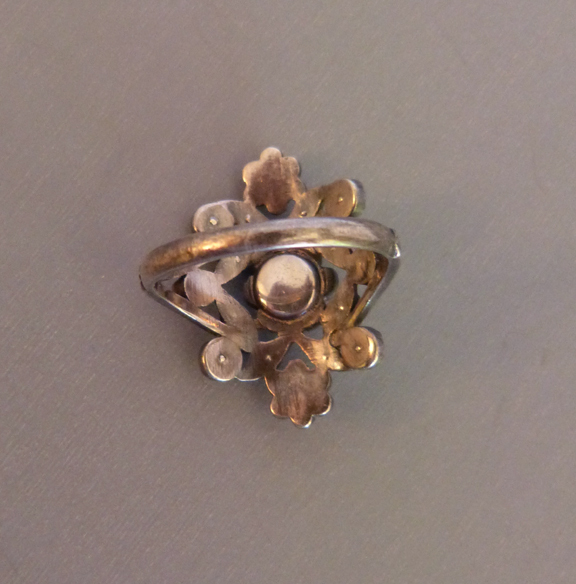 The settings are in the Georgian style, rubbed-over style, but the screw backs on the earring date this to the early 20th century. What an amazing set this is, and the back is as beautifully made as the front, all in excellent condition in every way. 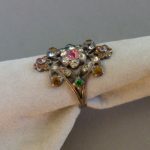 Just so you know, it does photograph a bit darker than it actually is in person.